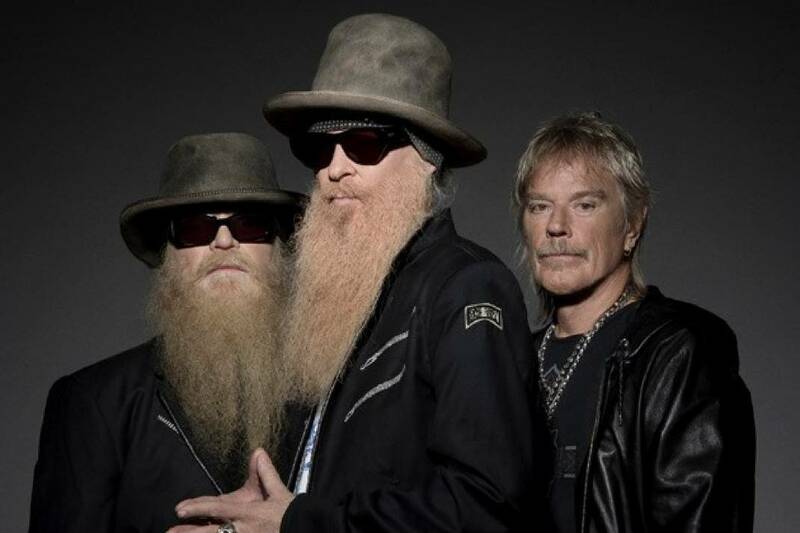 › What: ZZ Top in concert; Goodbye June opens. › When: 8 p.m. Tuesday, Oct. 25; doors open at 7 p.m.
› Where: Tivoli Theatre, 709 Broad St.
› Admission: $79 and $99 plus fees. The category: Rock and Roll Hall of Fame. The question: A quartet inducted in 2010 and a trio inducted in 2004, they’re the first and last inductees alphabetically. The answer (in the form of a question): Who are ABBA and ZZ Top? They may call themselves "That Little Ol' Band From Texas," but the musicians of ZZ Top are a big-time success. For starters, Billy F. Gibbons (guitar), Dusty Hill (bass) and Frank Beard (drums) can lay claim to being the longest-running major rock band with the original lineup still intact. True, there's only three of them, but 46 years (and counting) is a good run by any measure. The band coalesced in the waning days of 1969 from the core of two rival bands: Moving Sidewalks (Gibbons) and American Blues (Hill and Beard). They released their first album, "ZZ Top's First Album," in 1971. "Yeah," Gibbons says in an online bio, "we're the same three guys, bashing out the same three chords." He's being modest. Many industry experts credit the band's success to the fact that each new album explored new ground in terms of both their sonic approach and the material they recorded. "The genius of ZZ Top is that they're reverential about the blues but loose and funny about the subject matter of their songs," says the band's Rock and Roll Hall of Fame bio (they were inducted in 2004). "From the beginning, they took a hard-rocking power-trio approach to the blues, cultivating a new audience for it in the '70s and '80s with superior musicianship as well as attitude, style and some devilishly funny songs." It was their third album, 1973's "Tres Hombres," that catapulted them to national attention with "La Grange," still one of the band's signature pieces. Eighth album "Eliminator" in 1983 assured their path as rock gods. Signature hits "Gimme All Your Lovin'," "Got Me Under Pressure," "Sharp Dressed Man," "TV Dinners" and "Legs" all came from that worldwide smash. With "Eliminator" and its 1985 follow-up, "Afterburner," the band "had successfully harnessed the potential of synthesizers to their patented grungy blues groove, giving their material a more contemporary edge while retaining their patented Texas style," says AllMusic.com. Those "same three chords" have served them well. "As genuine roots musicians, they have few peers," says AllMusic.com. "Gibbons is one of America's finest blues guitarists while Hill and Beard provide the ultimate rhythm section support." Note: Gold equals 500,000 units sold; Platinum, 1 million; Diamond, 10 million. Note: Though they could be considered signature titles for the band, songs such as “La Grange,” “Tush,” “I Thank You” and “Cheap Sunglasses” were not Top 10 hits.